"We ordered a pallet of the Burnwell blend which seems to work very well with our multi fuel stove, giving a very good heat output and less ash. The fuel arrived in its new design plastic sacks and the delivery driver was very helpful - sadly not always the case. The fuel ovals are spotted with some whitish residue but burn very well and are even better than the last delivery. So thank you very much Housefuels for service and value for money." 23rd March 2019 - John Winlow , Norfolk. We discuss why you should use smokeless fuel, the benefits of doing so and what to expect. Want to know more about why you should use House Coal? You'll find all the relevant info here. This video goes through the step by step process of how to safely light your solid fuel. This video demonstrates how a professional chimney sweep is carried out. This smokeless fuel is available at an unbeatable price and delivers fantastic performance. Incredible savings this Spring on our excellent Smokeless Ovals. Available from only £329.99! You will not find better quality fuel at such a great price anywhere else online. If you find a cheaper price we guarantee to beat it on identical or similar products! Save up to £60 on the excellent Homefire Ovals. Available from only £499.00! INCREDIBLE SAVINGS THIS Winter ON OUR OUTSTANDING inferno briquettes. 1 Tonne AVAILABLE FROM ONLY £294.99! Welcome to HouseFuel. 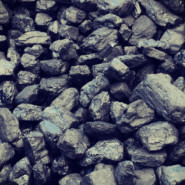 We are Approved Coal Merchants offering the cheapest way to purchase coal, anthracite and smokeless fuels in the UK today! We are approved coal merchants providing high quality products with help and information on all your solid fuel needs. Use our live chat function or contact the office today! A range of the highest quality house coals available on the market. A range of the highest quality smokeless fuels. 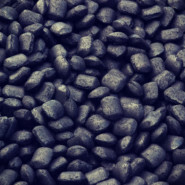 As Approved Coal Merchants, we can offer expert advice on all your fuel requirements. In order to get the most out of your appliance you need to use the right solid fuel. We've put together a selection of videos to show you around our family run business. Stay up to date with the activities of our busy HouseFuel office with this blog.